Please download this blank form (Response.jpg) and reproduce it on your printer. You may then complete it in full and mail it to the Vidocq Society investigators or Detective Tom Augustine c/o the Philadelphia police department without identifying yourself, if you wish. 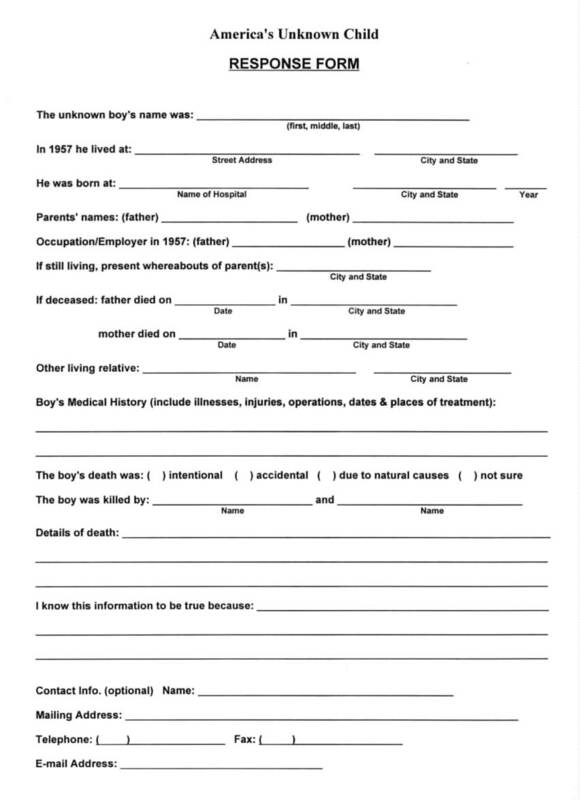 We ask that you complete the response form ONLY if you have definitive information to offer as to the true identity of the unknown boy or the circumstances surrounding his death. By doing so, you will be helping us to finally inscribe his real name on the gravestone that marks his final resting place.